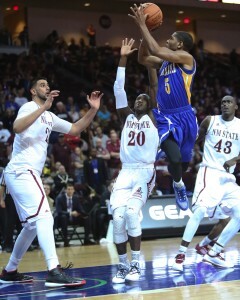 It was the shot that made CSU Bakersfield men’s basketball history. 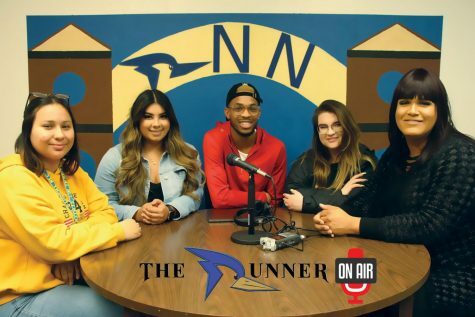 With the score all tied at 54 with 10 seconds remaining, the CSUB men’s basketball team had one last chance to beat rival New Mexico State University in regulation on Saturday in Las Vegas, Nev. 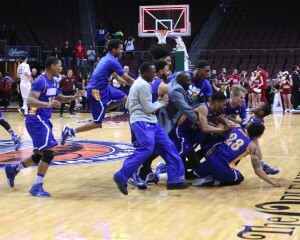 The CSUB men’s basketball team piles on junior guard Dedrick Basile after he hit the game-winning three over New Mexico State on Saturday in the Orleans Arena. 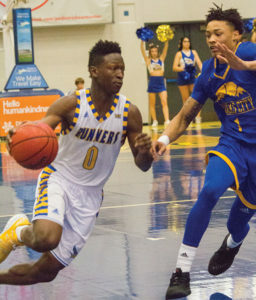 Junior guard Dedrick Basile sized-up the Western Athletic Conference Player of the Year and sophomore forward Pascal Siakam. 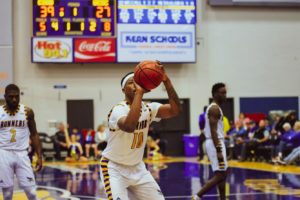 Basile stepped back and hit a three-pointer over the outstretched arm of Siakam to give the Roadrunners a 57-54 win for their first Western Athletic Conference Tournament championship and for the first time they punched their ticket to the NCAA Division I Men’s Basketball Tournament. 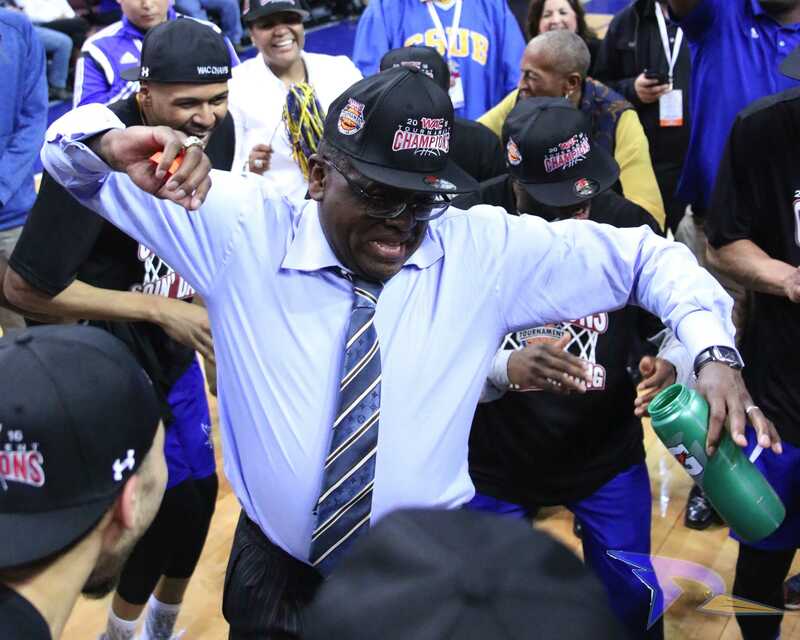 New Mexico State had been a thorn in CSUB’s side not just this year but all-time. 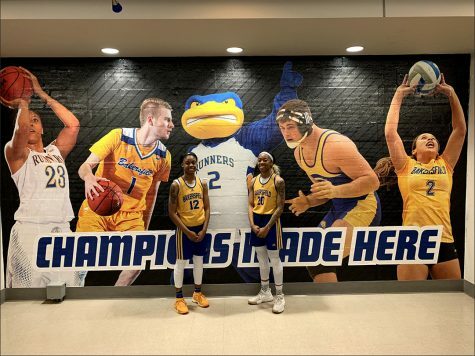 This was the first time CSUB had beaten New Mexico State in 11 meetings. “We wanted Dedrick to take the shot. 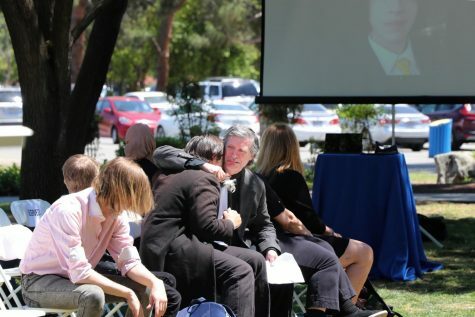 This was the whole plan,” said Barnes. 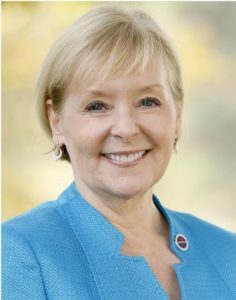 “He shot it when we wanted. It’s just a great team effort. Basile led the game in scoring with 18 points on 8 of 16 shooting from the floor and earned the WAC Tournament’s Most Valuable Player Award. 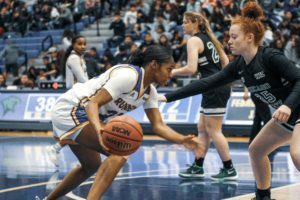 CSUB never trailed once in the game and led for over 38 minutes of the 40 minutes in the game. “It was just our night, our turn (and) it was our time,” Barnes said. 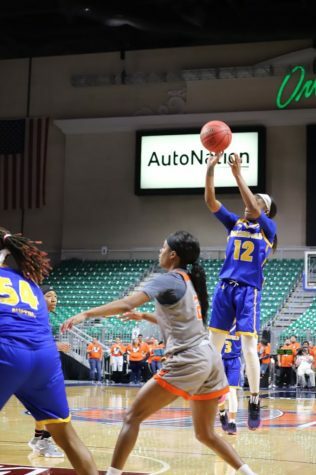 CSUB redshirt-freshman guard Damiyne Durham, who transferred from Baylor University, scored 15 points for the Roadrunners and was one rebound short from a double-double with nine. “I’m not going to say it’s the best performance I’ve had, but it’s definitely the most exciting that I’ve ever been through,” said Durham. 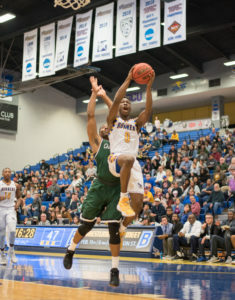 This win was a little more special to CSUB redshirt-junior guard Jaylin Airington as he celebrated his 23rd birthday following the win. 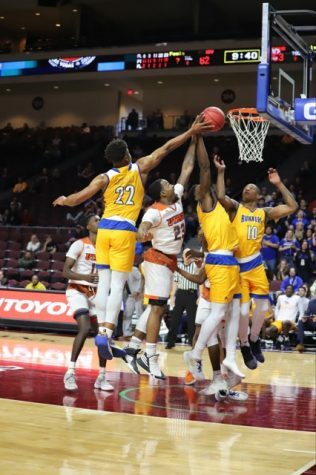 For CSUB senior forward Kevin Mays, who was battling foul trouble throughout the game, he had the role of guarding Siakam and held him to just 11 points, about nine points below his average of 20.3 points. 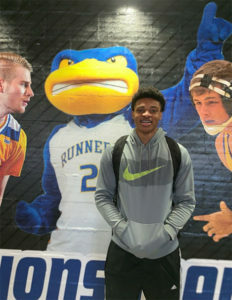 CSUB earned the 15th seed in the West Region of the NCAA Division I Men’s Basketball Tournament and will play second-seeded Oklahoma University in Oklahoma City on Friday March 18. 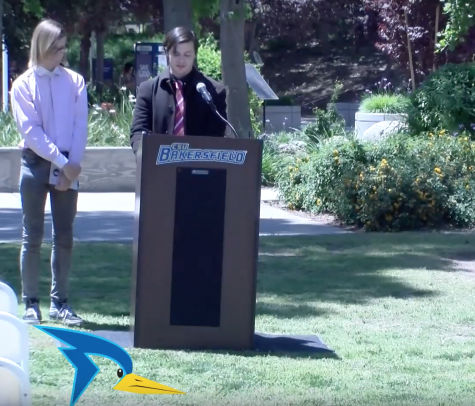 “It’s a lifetime dream right there and there is no other team I would rather go (to the NCAA tournament) with than this team right here,” Basile said.